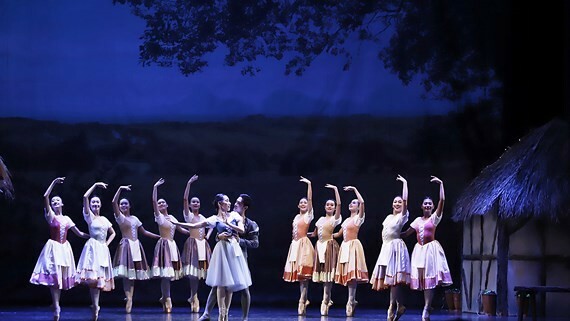 The Ho Chi Minh City Ballet Symphony Orchestra and Opera (HBSO) will represent to music lovers classic ballet “Giselle” at the HCM City Opera House on November 9. 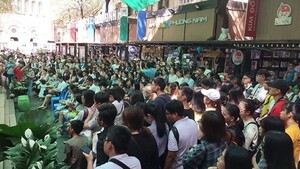 The play was presented to the audience for the first time in September and then became an annual awaited performance for music lovers in the city. The performance is choreographed by French dancer and choreographer Chloe Glemot and Japanese dancer Yuki Hiroshige with the participation of artists Do Hoang Khang NInh, Ho Phi Diep, Dam Duc Nhuan and dancers of the HBSO. "Giselle" is a masterwork in the classical ballet performance canon. The romantic ballet tells the tragic, romantic story of a beautiful young peasant girl, Giselle who falls for the flirtations of the deceitful and disguised nobleman Albrecht. Giselle dies of heartbreak after discovering her lover’s deception that Albrecht has promised to marry princess Bathilde. And Albrecht must face the otherworldly consequences of his careless seduction with the Wilis, a group of mystic and supernatural women who died from a broken heart, have the ability to control men and let them dance until they die. The 6th Vietnam Book Day 2019 opens at Thong Nhat Park in Hanoi from April 18-21 featuring 100 stalls of 84 publishing houses nationwide.